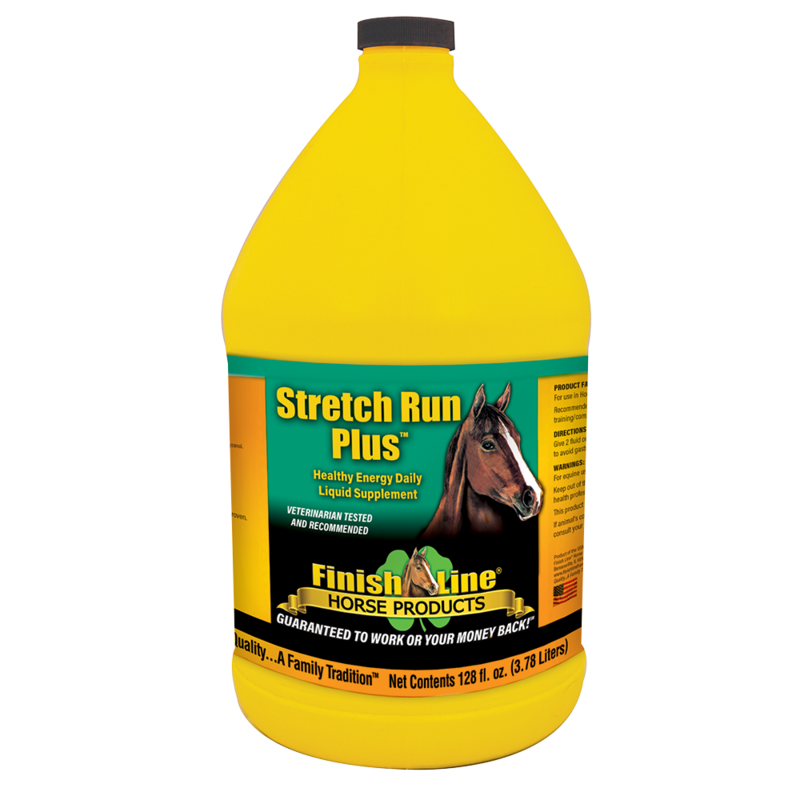 Stretch Run Plus™ is a daily liquid supplement recommended to support healthy metabolic muscle functions in the horse during training/competition season and help them recover to the top of their game! 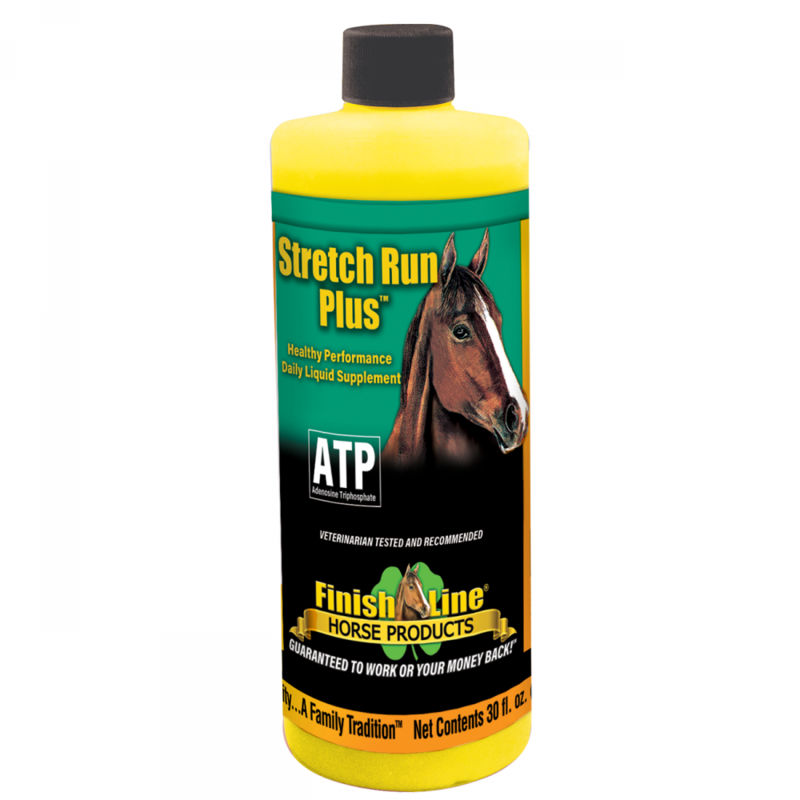 A daily supplement that keeps ATP Levels high with ribose to help ensure available power for strenuous exercise and faster recovery times. 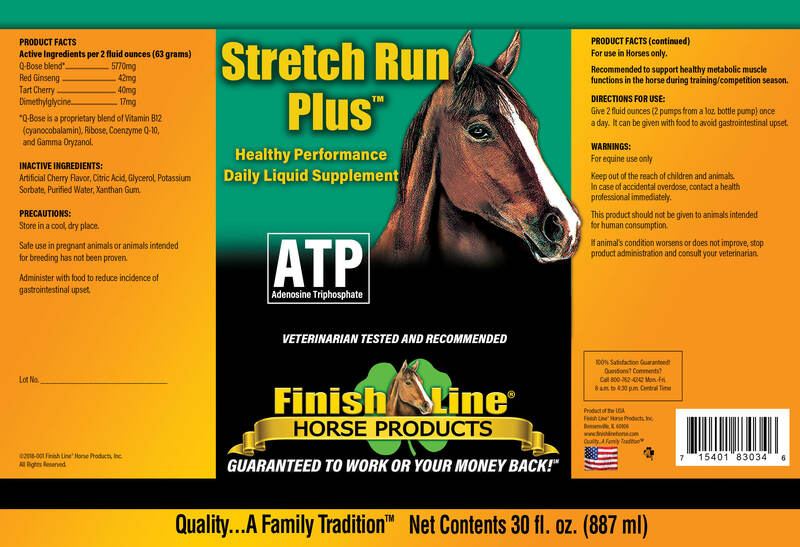 Veterinarian researched – contains no prohibited ingredients.